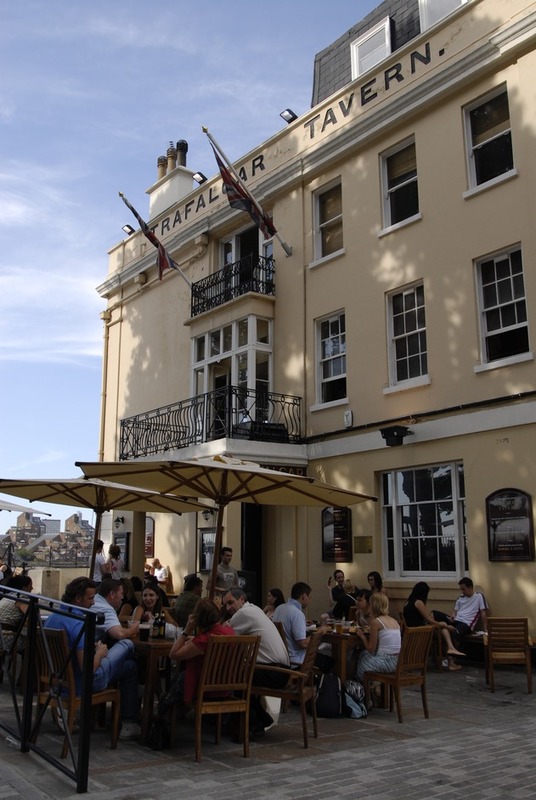 The pub achieved notoriety selling whitebait (still on the menu) but now the Trafalgar Tavern is a refreshment point for the capital's many visitors. It's hardly surprising with a horde of juicy attractions close to hand. The Royal Observatory, Cutty Sark and Greenwich Market are all just a few minutes' walk. Built the year of Queen Victoria's coronation, the Trafalgar Tavern is a grand cream-coloured building, perched right on the bank of the River Thames. Within, wooden panelling lines the walls and timber covers the floor, upstairs is the one-time ballroom with chandeliers and all. In the summer tables overflow onto the riverside walkway for plenty of outdoor gaiety. It still retains a certain maritime atmosphere and the views northward over the river are marvellous on a clear day. The best pubs near London The Trafalgar Tavern. The Trafalgar Tavern clubs, bars, cabaret nights, casinos and interesting nightlife. What are the best dining options near The Trafalgar Tavern London? The Trafalgar Tavern gyms, sporting activities, health & beauty and fitness. Where to have your meeting, conference, exhibition, private dining or training course near The Trafalgar Tavern. From cheap budget hotels to luxury 5 star suites see our discounts for The Trafalgar Tavern hotels, including Holiday Inn Express London Greenwich from 86% off.